It all started when the Society received the Hulburt Creek Garden Beds on December 31, 2008. Tucked away among the trees that line Birchwood Road near Highway H in the Town of Delton, and over the cold months hiding under the winter’s soft blanket of snow, are 1000-year-old garden beds, one of Sauk County’s best-kept historical secrets. At one time the garden beds, almost 200 acres of them, were home to a thriving Native American culture, with trails leading from the garden beds to places far into what today is Wisconsin. Corn, a companion plant of perhaps beans, and squash or pumpkins once flourished on these raised beds that long ago were constructed and managed by the toil of many. The building of County Highway H destroyed a large portion of this incredible cultural resource, but not all. The Sauk County Historical Society was made aware of the garden beds in the summer of 2008, and knew immediately that they must – somehow – be preserved. Though the Hulburt Creek Garden Beds were a new discovery for the Society, they had been studied extensively by Dr. William Gartner, of the University of Wisconsin - Madison, as the topic of his dissertation in the early 1990s. According to Dr. Gartner’s study, the Hulburt Creek fields are the oldest radiocarbon dated ridged fields in the Upper Midwest or Western Great Lakes regions (ca 1000 AD). At that time they also were placed on the National Register of Historic Places, after which they waited patiently to be rediscovered. For years the land that carries the garden beds has been privately owned, and fortunately undeveloped. 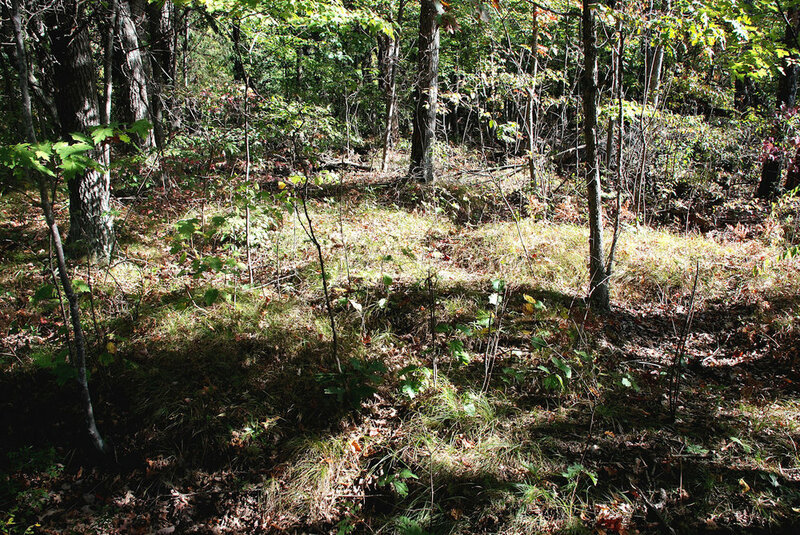 In late October 2008, landowner Bill Pierce offered to donate the garden bed land to the Sauk County Historical Society, setting into motion a flurry of activity. First the garden beds had to be located. Much to our surprise, two additional sections were discovered. Then the land had to be surveyed and a new parcel created, which subsequently needed approval by the Town of Delton and Sauk County. On December 30 the deed to the land holding three intact sections of the Hulburt Creek Garden Beds was transferred from Bill and Phyllis Pierce to the Sauk County Historical Society. Efforts to attach an archeological covenant to the deed to protect the land as an archeological site in perpetuity are in motion. Long-range plans are for the land to become an educational site for area schools, the University of Wisconsin, and of course, the public at large. Special thanks are extended to the Ho-Chunk Nation, Bill Wenzel of Orion Land Surveyors, LLC, Rob Roth of General Engineering, the Town of Delton Board of Supervisors, Rob Nurre, William Gartner, Beverly Vaillancourt and of course especially to Bill and Phyllis Pierce, whose generosity made this preservation effort possible.